Consider e-Digital Signature for obtaining Class 2 Digital Signature certificates. 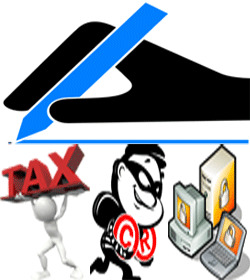 Class 2 Digital Signature Certificates are essential to obtain for the several transactions for Ministry of Corporate Affairs (MCA) or Registrar of Companies (ROC), Income Tax Department and in few of the e-Tendering department also. 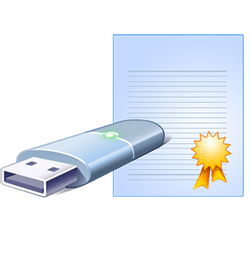 e-Digital Signature is the best source of obtaining Class 3 Digital signature Certificate. In the means of security, class 3 DSC has been identified to be the highest level of digital signature. It helps in ensuring the security and transparency of the transactions taking place online. 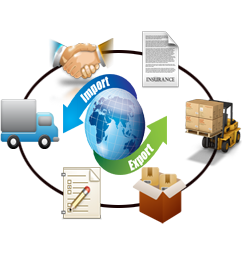 DGFT Digital Signature Certificate is the Digital Signature Certificate for DGFT & Importers-exporters. It comes under the Class 3 Digital Signature Certificate type which is required for communication with DGFT for several purposes. This form of DSC is available with Signing version only. For security reasons, the digital signature certificate must be stored in a hardware device such as a USB cryptographic token. These tokens store your digital signature certificate securely and ensures that no one else has access to your private key, except you. Welcome to e-Digital Signature, a highly professional company providing IT products & services. We formed this company to serve Digital signature certificates to several clients. In our team, we are having experienced and disciplined founders, surveyors, executives, and fully dedicated professionals for pre as well as post sale report. From us, you can obtain all kinds of eMudhra & Ncode Digital Signature Certificates (DSC) like Class 3, Class 2, DGFT. We are capable to provide you Class3 DSC for e-Ticketing, Trademark / Patent filing, e-Tendering, and e-Procurement. Class 2 DSC can be obtained for ROC/MCA Forms filing, Income Tax Returns filing, Form 16/16A Signing, and DGFT Digital Signature Importers-Exporters. Apart from these, also we are providing Tally.ERP Accounting Software, component Implementation, Payment Gateway for Websites and e-Tendering Solutions like Vendor Registration, Tender Download & Upload. 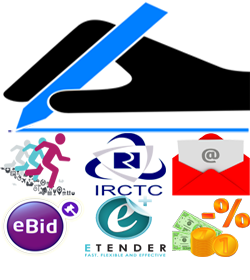 e-Digital Signature provides top quality and effective services. We are Delhi based company since 2006 and having more than 5000 clients. Many individuals, companies, MNCs, chartered accountants, directors and many more have obtained Digital Signature Certificates from us. The main aim of our services is that to ensure that the customers can enjoy safe and secure transactions through internet with their unique identity. Because of are reliable and trustworthy services we have been able to build a strong partner network in PAN India basis. For our products and services, we keep on looking authentic individuals and organizational partners. e-Digital Signature offers you Digital Signature Certificate as Registration Authority (RA) of e-Mudhra & Ncode for distribution of Digital Signature Certificate. Get Emudhra Digital Signature & Ncode Digital Signature in Delhi, Delhi Ncr, Noida, Gurgaon, Ghaziabad, Faridabad at best prices. We are one of the Top Digital Signature Vendors in India who provide DSC Class 2, DSC Class 3 and DGFT DSC. 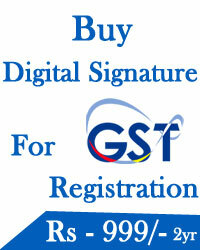 Buy Digital Signature Online at best rates. e-Digital Signature is currently services in big cities which are Delhi, Delhi ncr, Mumbai, Bangalore, Chandigarh, Mohali, Lucknow, Guhawahti , Kanpur , Kerala, Varanasi, Gurgaon, Faridabad, Ghaziabad, Noida, Thane, Kolkatta, Greater Noida, Gurgaon, Pune, Kerala, Dehradun, Bokaro, Calicut, Kozhikode, New Delhi, Surat, Vizag, Orissa, Bhopal, Pune, Navi Mumbai, Vadodra, Bhopal, and many more...Read more..
KSMG Digital Solutions Pvt. Ltd. is a Delhi-based company, which is highly engaged in offering Goods and services tax (GST) Registration in Delhi at an affordable rate. Our team is always ready to provide complete professional support to our clients in order to provide them complete satisfaction. 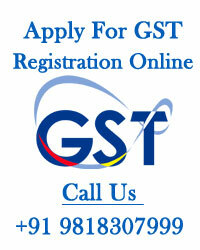 We provide GST Registration consultancy and many other services to our clients. Our main aim is to satisfy the demand of our clients, so, that they don't need to go anywhere else after connecting with us. We offer our services at a wallet-friendly price. We work on transparent business ethics and make sure to provide you true data and a real picture of your company. 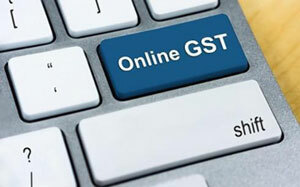 We provide one end GST Registration service online in Delhi to our valued clients, so, that they get a solution to all their problems under one roof. So, what are you waiting for? Looking for tax related services, feel free to call or send enquiries. Our experts are always there to provide full support to you within a mean time. 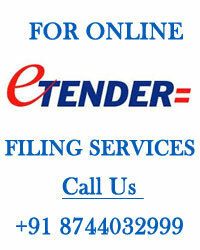 FOREIGN NATIONAL / FOREIGN ENTERPRISES DIGITAL SIGNATURE --/- 5000/- For e bidding /e Tendering /Directorship /other purposes. phone : +91- 9958986149, 9582067319.